Use the form below to report a stolen bike. 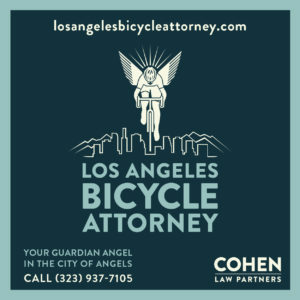 Once your bike is listed, it will automatically be registered in a database of stolen bikes in the LA area, making the details available to any bike shop, pawn shop, police department or private buyer using the BikeIndex.org database. 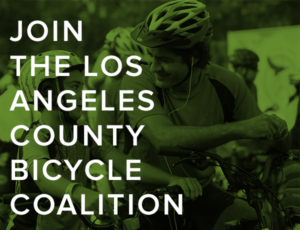 In addition, a notice will go out on the BikinginLA Twitter and Facebook accounts to alert the cycling community to be on the lookout for your bike. It’s a free service from Bike Index, and only takes a few minutes. And could be your best bet for recovering a stolen bike.. Please note: this registry is purely a community effort, and not affiliated with law enforcement. If your bike is stolen, you should always report it to the local police first, and note your case number in the form below when reporting the theft to Bike Index. 1. Contact the police and file a report. Sometimes they will try to discourage you from filing a theft report, but insist on it. 2. Register your stolen bike with Bike Index using the form above. 3. Contact your insurance agent. If you have homeowners or renters insurance, your bike should be covered if the value exceed the deductible. 4. Scour Craigslist, eBay and the Penny Saver for any bike that matches the description. And look at other nearby areas; thieves will often move a hot bike out of the area where it’s less likely to be recognized, or hold it for a few weeks until the heat is off. 5. Visit local bike shops in your area and ask them to be on the lookout for your bike. Thieves will often take a stolen bike into a shop for repairs or to try to sell it. 6. 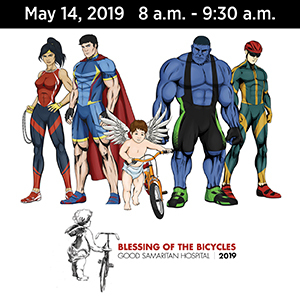 Check out garage sales and street vendors in the area, and tell everyone you know to keep an eye open for someone riding your bike or parked on the street. 7. If you find your bike, whether online or in person, call the police and let them deal with it. 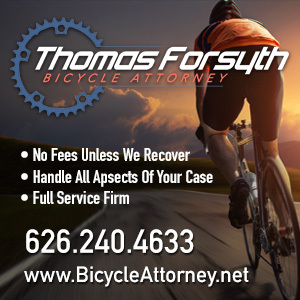 While there are many stories of people who’ve recovered their own bikes, there are just as many of people who’ve gotten in over their heads; no matter what your bike cost, your safety is worth more. Vintage Nishiki Century Mixte (from the 80’s), steel frame, brand new derailler, purple brake cables, cork grips. The Granite Peak Roadmaster 26-inch Men’s Mountain Bike. 18 speed Black with granite peaks writen on the body of the bike in red and silver. Rodensa, Elizabeth, you need to fill out the form above, rather than listing the bike here in the comment. That will add it to the register of stolen bikes, and send a notice out on Twitter. Light Green Beach cruiser stolen! Hey! La! You’re rad. Thanks for robbing me. Please keep an eye out for my bike, please. There are many like it, but this ones is mine. Last seen off Wilshire and Cochran. Skinny white hipster, crappy cross and rosary tattoo on white forearm, some sort of Sanskrit tattoo on inner right wrist, Cameron Newman was the name given, could be fake. Same with his address, 760 south Cochran. 58cm green and white Cinelli Mash Track Bike. Deda pista drop bars, some road rash on the left side, half grips on the drop. blue and black stem focus stem. Surgino 75 grand mighty cranks with super lap bottom bracket , green velocity deep v rims with dura ace hubs, black plastic platform pedals, white specialized seat and white cinelli vai seat post. Typical road rash from locking up, few stickers on it. Right side had a large tooth sticker, too tube has a vans sticker, left side has a thrasher sticker. Cinelli, mash, and Columbus decals in the rear. Hey Evan, sorry your bike was stolen. However, you need to use the form above to report your bike as stolen and add it to the database. Putting it here in the comments won’t accomplish much. And make sure to read the advice right underneath it on what to do if your bike is stolen. Good luck! 1997 red olcv 5500 carbon trek in excellent condition was stolen Sunday the 25th of September. I’m having trouble registering my stolen bike. Is a police report required? No, but you should report any bike theft to the police. They often recover bikes they know are stolen, but can’t return them because they can’t prove it. Noticing some police dept’s are “teaming up” with the bike index folks, which is surely helpful for bike recovery. Heard Santa Monica PD & West LA PD are. I’ve also reported obvious ‘bike shops’ to lapd such as the large one on the corner of Wilcox & Willougby, 1 neighbor reported getting their bike back after going there, believe he bought it back. They have several bikes there, mostly under tarps. Rarely a month goes by that our nextdoor.com group doesn’t post a few bike thefts. Just because they’re in a garage or back yard doesn’t make them theft proof. Mine – I keep them in the kitchen. My cannondale quick 6 was stolen outside of Pollo Loco on Sunset Blvd in Silverlake while I was eating lunch. It was locked with a kryptonite and there was heavy pedestrian traffic. It was locked right outside while I was eating. Stolen mint green Linus Mixtie 8-speed bike, periwinkle blue saddle bags, dinosaur bell, brown leather seat. Stolen from Santa Monica beach boardwalk in front of Perry’s at 1200 Ocean Front Walk. Van Nuys area – Black Macargi Pantera beach cruiser with a 66cc gasoline 2 stroke engine on it. Green fuel hoses and a green horse printed on the side of the motor. White wall tires. My bike was stolen from an apartments on Alabama Ave. Between the hours of 12 midnight to 6 AM the dates Jan 7 to Jan 8 morning the unsub came in with most likely a watch out person to warn the thief in case any one came out of an apt. They stole by cutting the cable lock the bike us a blue k2 sidewalk bike 26 inch tires, handle bars have horn type grips on each end there is more but making police reports won’t recover the bike,because if all the bikes locked up just outside the door if the unit only that one was taken they left the other bikes alone this is a person or persons in Canoga park that steal only high priced bikes beware people in Canoga park they are starting to access breaking in to locked apartment facilities & I’ve had ZERO results from LAPD & I’ve had more the 5 bikes stolen. i listed my stolen bike using the form above and i uploaded a photo. i dont see the photo on the bike index page and my listing didnt appear on the stolen bike listings above.